Rated 1 out of 5 by MPEG from Awful :( I bought this conditioner recently. I used it properly and it dried out my hair so much that I actually had to smooth coconut oil over my hair so it wouldn't look like a brillo pad. It does smell nice and it feels thick and creamy. It just doesn't agree with my hair. Will probably throw it away. Rated 1 out of 5 by Jcm92 from Won’t be purchasing again I have no idea why I keep giving Garnier a chance, but I am officially done now. Every time I try a product of theirs it goes directly into the garbage. This conditioner did not derange my hair in the slightest. It smells good but that’s pretty much the only good thing I can say. It says it quenches and softens, it did neither. I’m done with this brand. Rated 5 out of 5 by Heatherly79 from WoW!! I get keratin treatments done once a year to help with my frizz. I have specifically used a salon brand keratin shampoo and conditioner for YEARS, which is not cheap. I was running low on my conditioner and the store where I purchase my salon products was out of the keratin conditioner, so I scanned the shelves for a quick fix until my normal conditioner came in. Well, that was several months ago. My hair is my pride and joy, I take very good care of it. I was amazed how good my hair felt and looked after the first use. My hair is very shiny, it smells great and my hair is starting to feel thicker. I use my keratin shampoo and this conditioner daily. I'm super happy with my choice. You guys knocked this one out of the park! Rated 5 out of 5 by Beth1110 from Great Product! This stuff smells amazing! I have dry hair and almost nothing works to hydrate it & make it soft. This stuff is great! I use it with the shampoo and it is one of the few things that really makes me see a difference in my hair. Love it!! Rated 5 out of 5 by luhxkayy from Works for curly girls!!! I am a naturally curly girl with 4a/4b hair textures. I received this product as a sample. I used it in a section of my hair as a deep conditioner and the results were shockingly amazing. 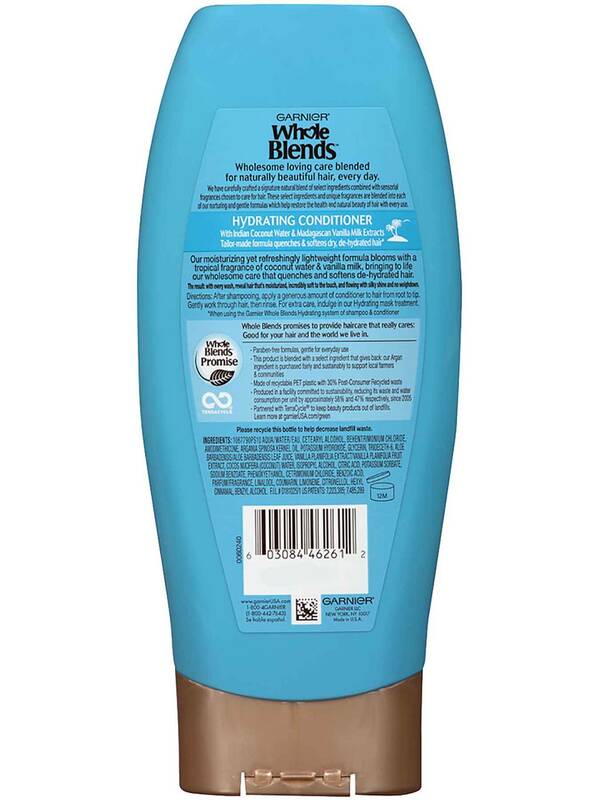 Not only is this conditioner softening and moisturizing but it is also an amazing curl definer. As I was applying this product my curls immediately came back to life like never before. And even after I rinsed the results were still the same. I now swear by this product and have purchased a bottle. Thankyou Whole blends for changing my hair life!! Rated 2 out of 5 by Hmack34 from Made my hair feel dry and brittle I used this product as a deep conditioner. I had it in my head for bout 6-7 hours (while i slept). I washed it out adn after a few minutes my hair felt sry adn brittle. THe mositure levels were really low. Prior to using this conditioiner I used the olive oil silicone free shanmpoo. Not sure what happened but my hair didnt like this product as a conditioner. I had to go back in with another conditioner to help my hair out. 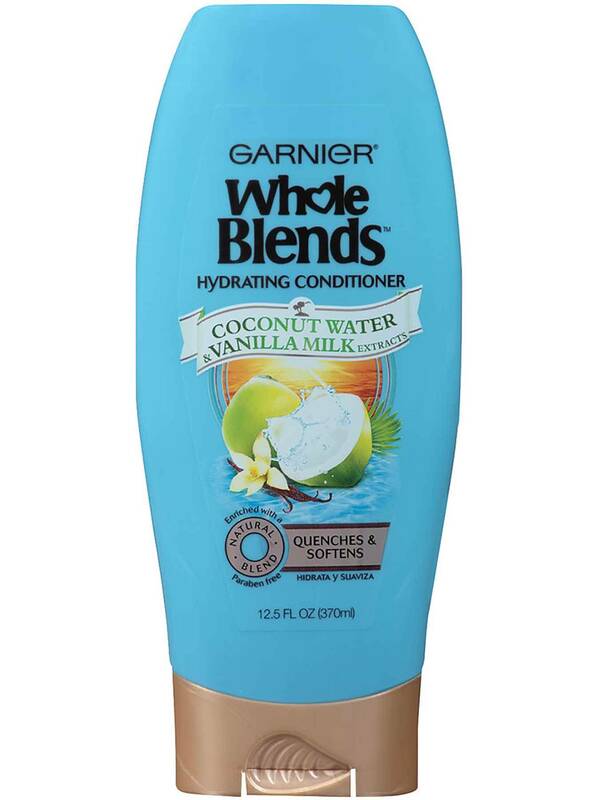 Rated 5 out of 5 by BJ144 from best ever I am 73 with dry skin and hair, I use whole Blends with coconut water not only for my hair but tried it for the body, OMG it's the best body moisturizer I have ever used for my body. just put a little in a washrag and rub all over and the skin stays soft and supple for the whole day.. I love this product for my hair also. 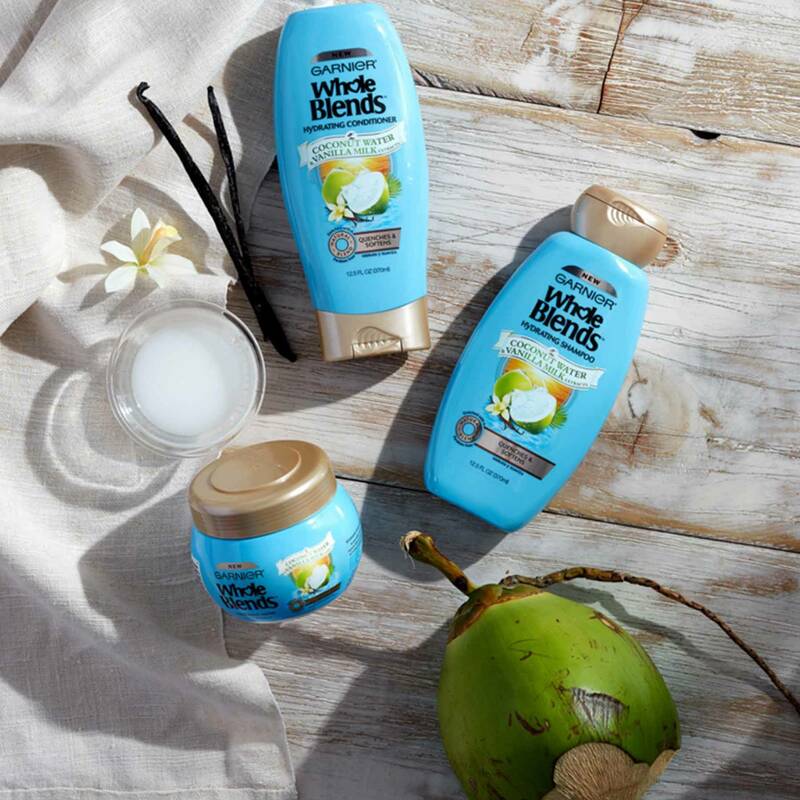 Gray hair tends to be a bit coarse but using the coconut water whole blends makes my hiar very soft and manageable . Thank you for Whole blends. Rated 5 out of 5 by Vermonter from Wonderful Product At last a conditioner that actually solves the dead of winter, electric, flat hair problem.......Even during zero dewpoint weather my hair has body and shine and I am an old lady with thin, fine hair........Feels great and smells wonderful........I use it with the shampoo for a double treatment...........Thank you Garnier.